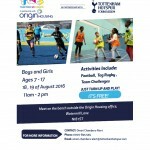 This summer the TWC Team have teamed up with Tottenham Hotspurs Football Club’s Community Development Team to run free multi-sports sessions for young people living in the Watermills Lane Neighbourhood in Enfield. The next multi-sports sessions at Watermill Lane take place on the 18th and 19th August between 11am – 2pm. 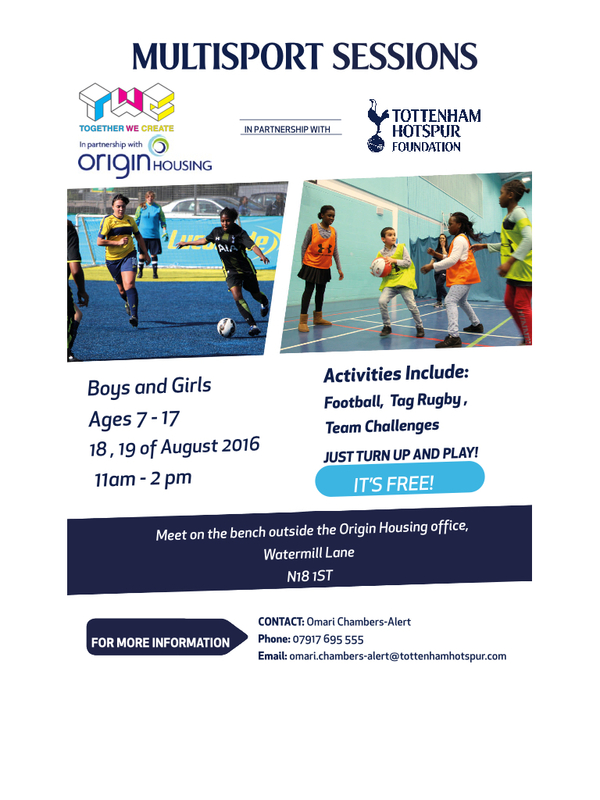 The sessions are free to all children living locally and are open to both boys and girls aged 7-17. Digging Deep in N17 It’s getting getting spooky in N17!